Do We Need A Broader Definition Of Church Growth? Any definition of church growth that doesn’t allow for, even celebrate, churches that contribute in non-numerical ways is incomplete. There's more than one way for churches to grow. But over the last forty years or so we've been given one model of church growth almost exclusively. Get more people in the building. That model is so prevalent that when I dare to suggest that many small churches are healthy churches with something to add to the body of Christ, I'm met with an incredulous chorus of how can it be healthy if it’s not growing? The answer? Nothing in nature keeps growing continuously. Every healthy organism grows bigger until it reaches maturity, then it grows in other ways after that. Why would we expect local churches to be any different? What if gathering a bigger crowd isn't the only way for the kingdom of God to advance in a local church body? What if, for some churches and ministries, a bigger crowd was actually counterproductive to the way God designed them to grow, reproduce and contribute to the body of Christ? No, we don’t need to get rid of numbers. Metrics tell us many important facts, including helping us to see things objectively. But they’re not the only way to make judgments about ministry success. And yes, a numerically growing church is a wonderful thing. But it’s not the only thing. Any definition of church growth that doesn’t allow for, even celebrate, churches that contribute to the body of Christ in ways other than constant numerical growth is missing out on the benefits those churches can bring. If getting bigger is the only contribution that we acknowledge, then any church not experiencing constant numerical increase (most of us) feel like failures. Numerical growth is great. 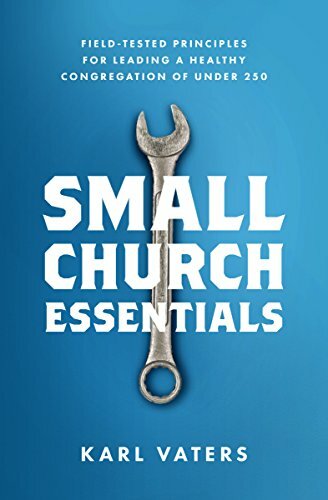 For the church it’s essential. But, just like an army requires dozens of support staff for every soldier on the field, is it possible that the church needs multiple churches that are discipling, counseling, comforting and more, for every church that’s adding to our numbers? I don’t know if that’s the case, but we need to be open to the possibility, so we can utilize every church’s gifts.